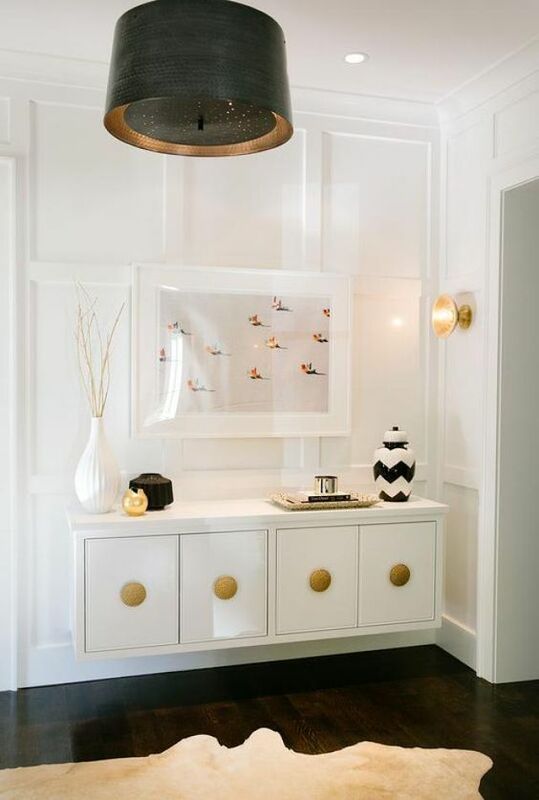 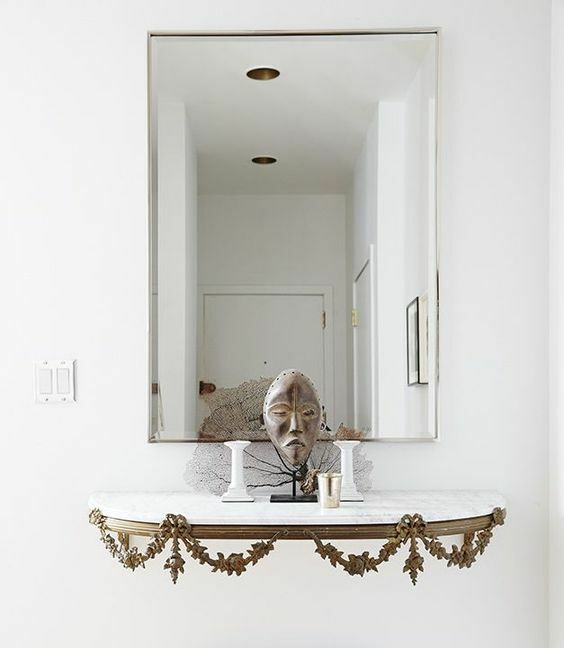 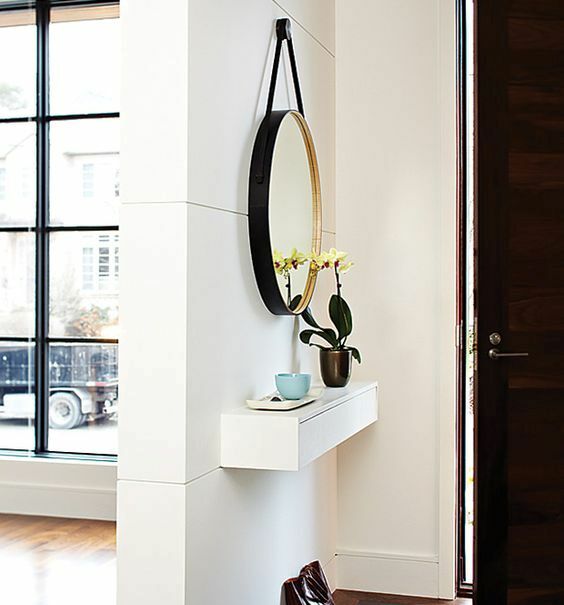 A console is a must for every entryway and can be seen literally in each, even fi the entryway is super small. 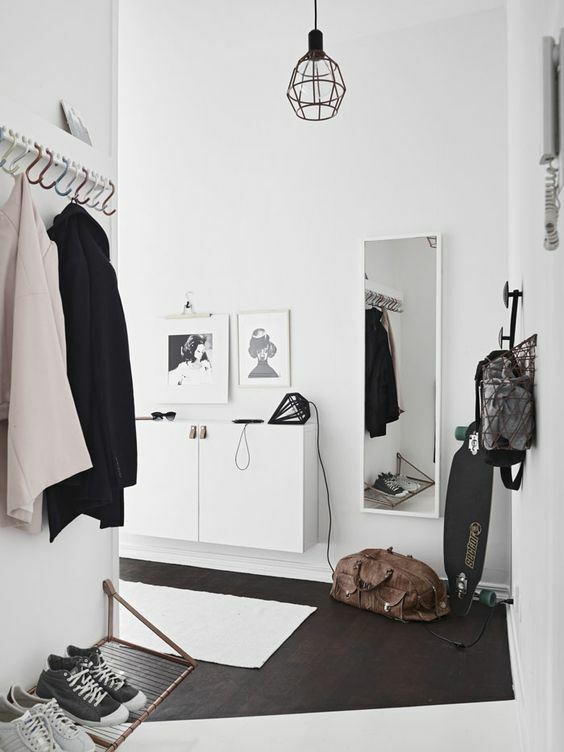 It’s a great piece to leave your keys, a hair comb, a hat, a bag and other stuff but what if you have literally no floor space for a console? 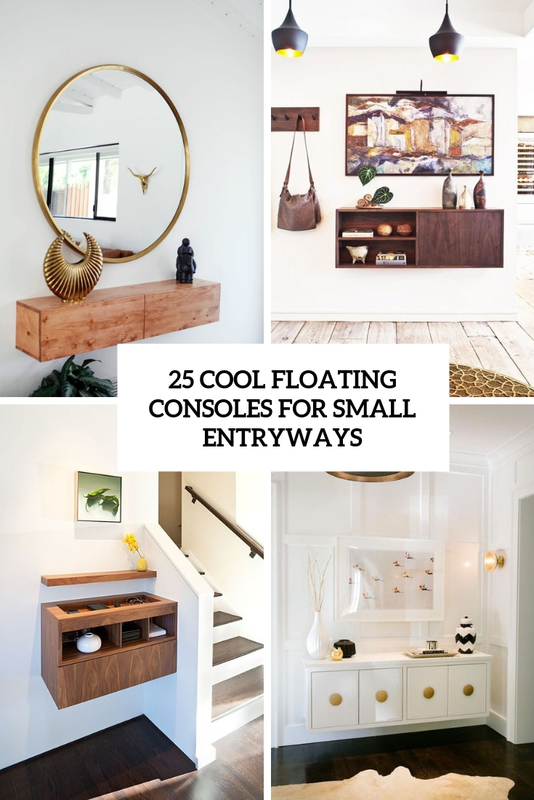 Your solution is a floating console! 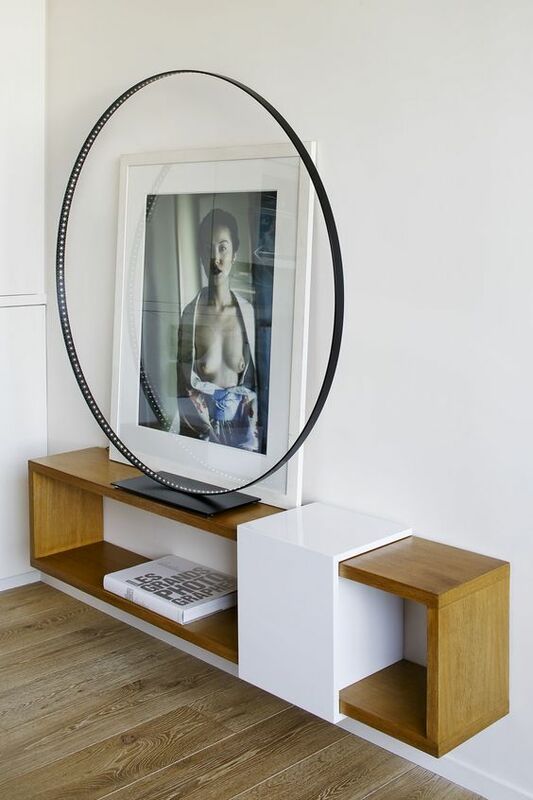 A floating piece can provide enough storage and won’t take any floor space at all. 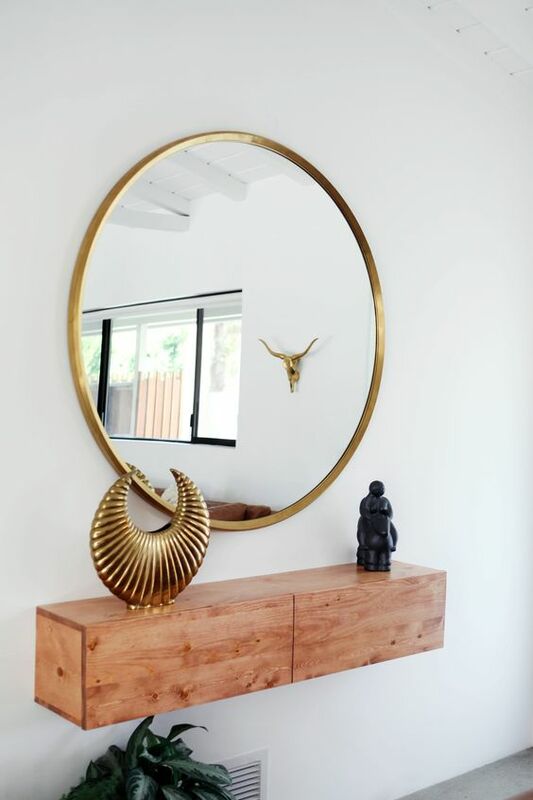 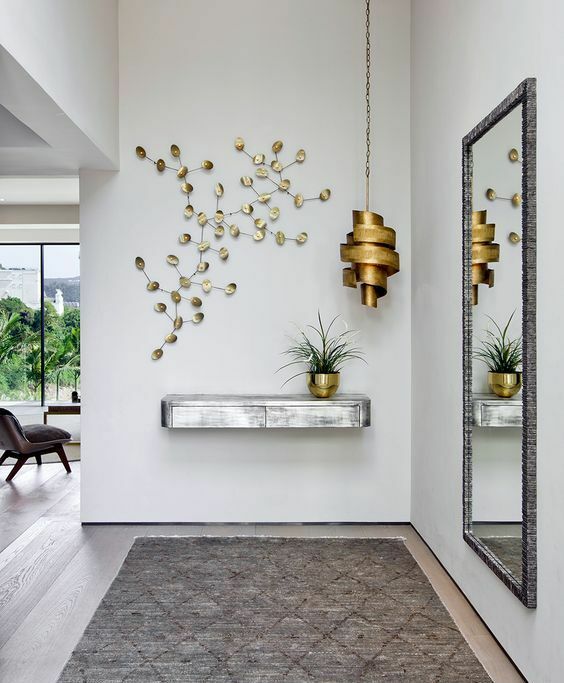 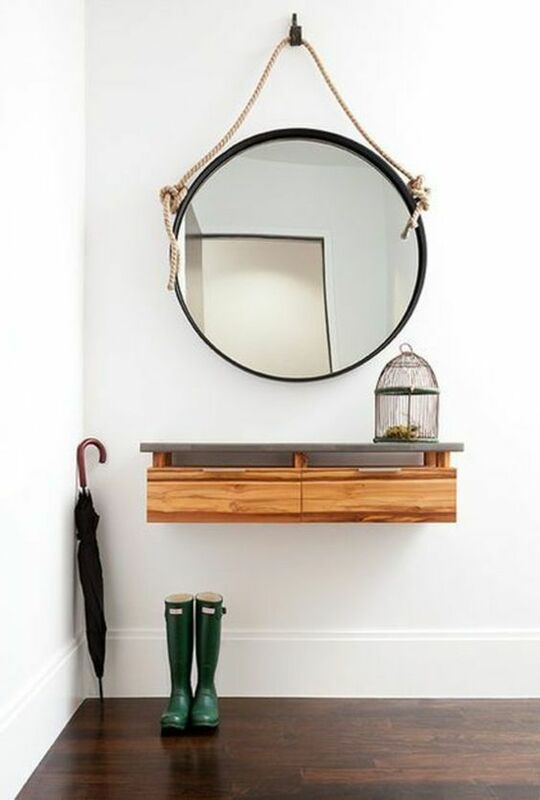 Let me show you some ideas that you may use in your entryway. 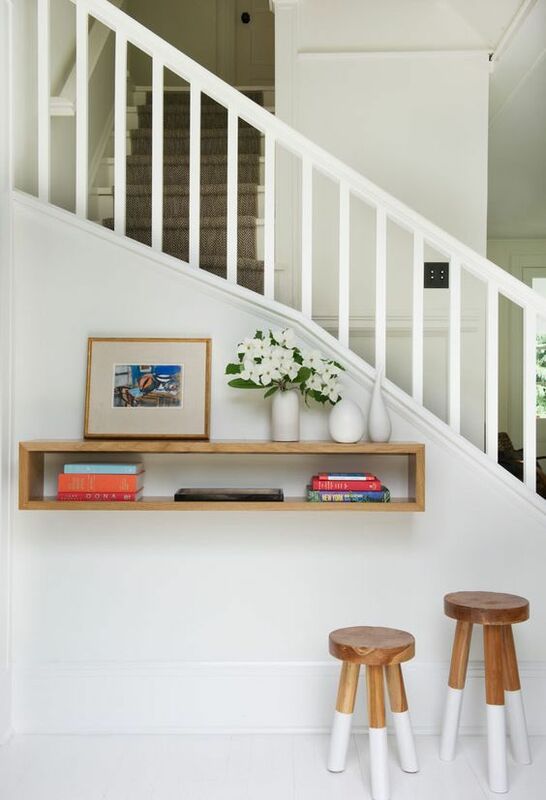 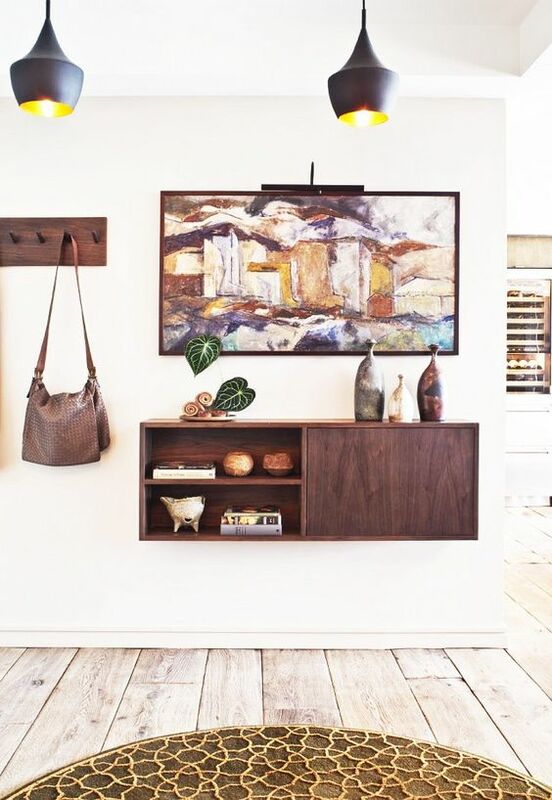 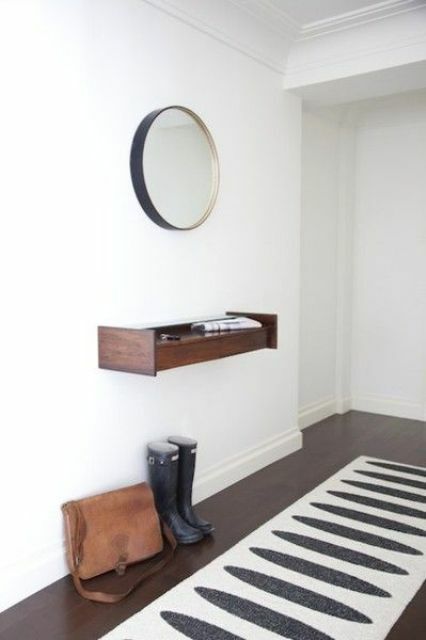 If your entryway is very small, you can take a tiny floating console and it will be a perfect fit. 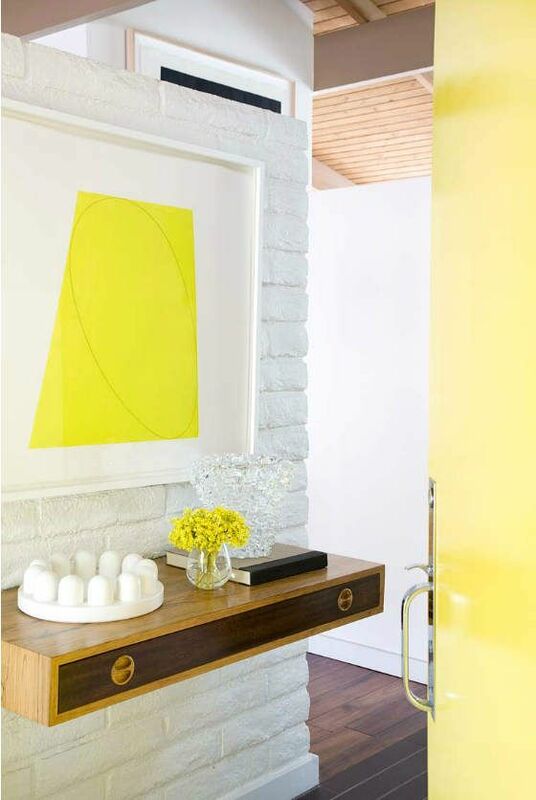 Consider your decor style and the color you want, the detailing you feel like. 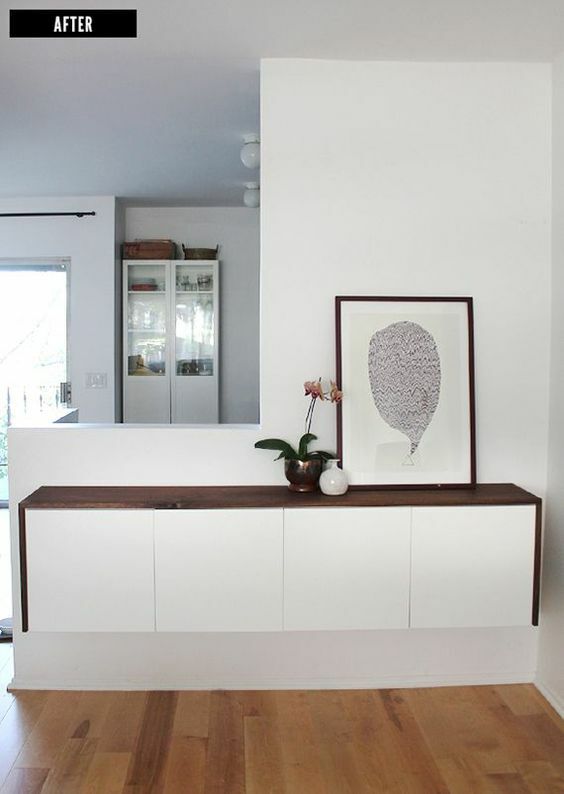 The most popular option is a plywood or wood console with a box design – it features some open storage inside and a tabletop for storage, too. 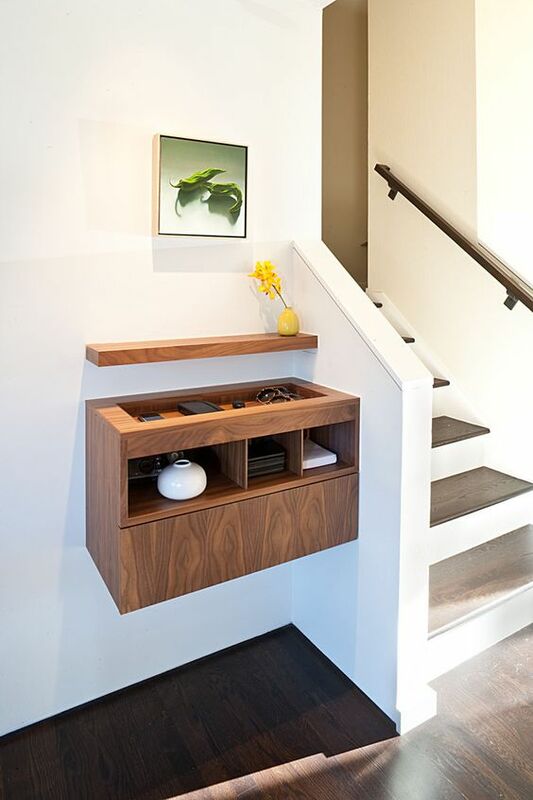 You may try a floating console with a drawer or drawers, too, if you want less clutter and an elegant feel. 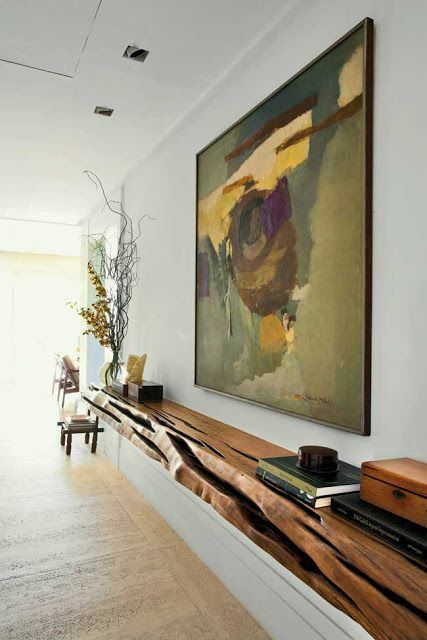 If you have a minimalist sleek console, add a waterfall wooden tabletop to it to achieve a catchy look. 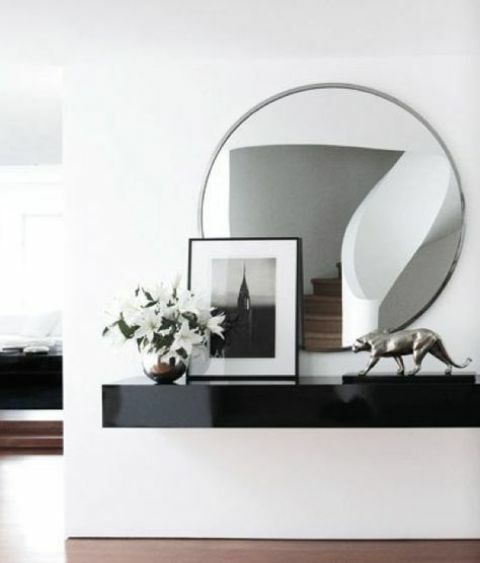 If it’s still too much for your tiny space, keep it to a floating shelf and nothing else. 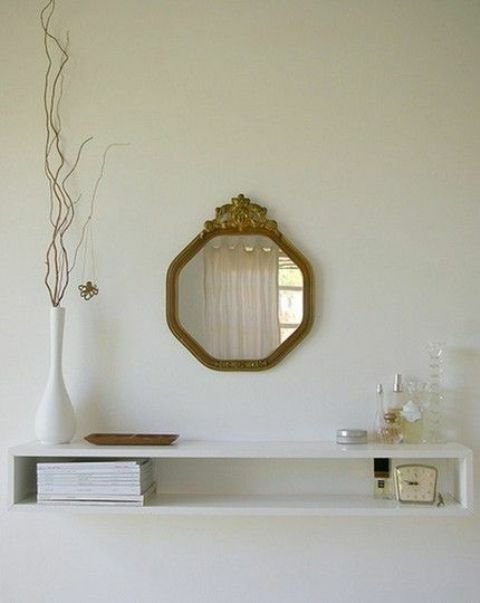 There are many types of floating consoles to try, all kinds of styles, colors, shapes and sizes. 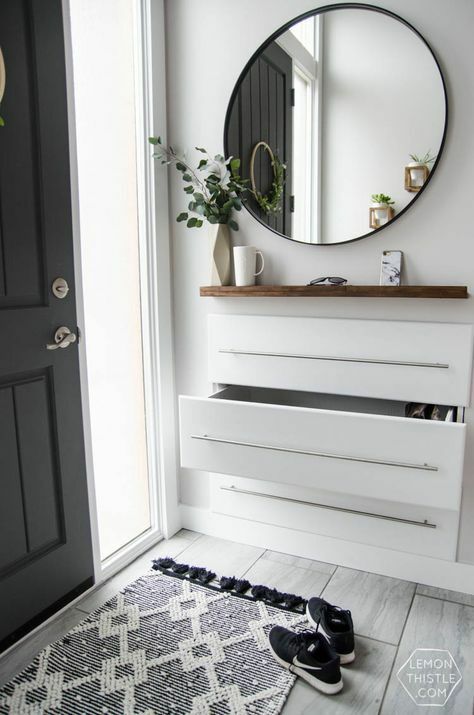 The most popular idea is a dresser-like console, a floating console with several drawers, it may be long and flat or more voluminous and not so long, everything depends on your space. 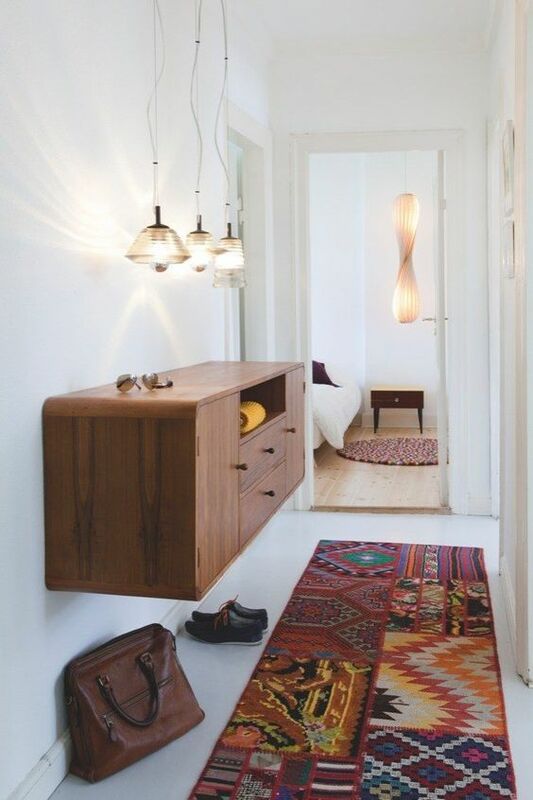 think catchy knobs and pulls, try refined detailing and tabletops. 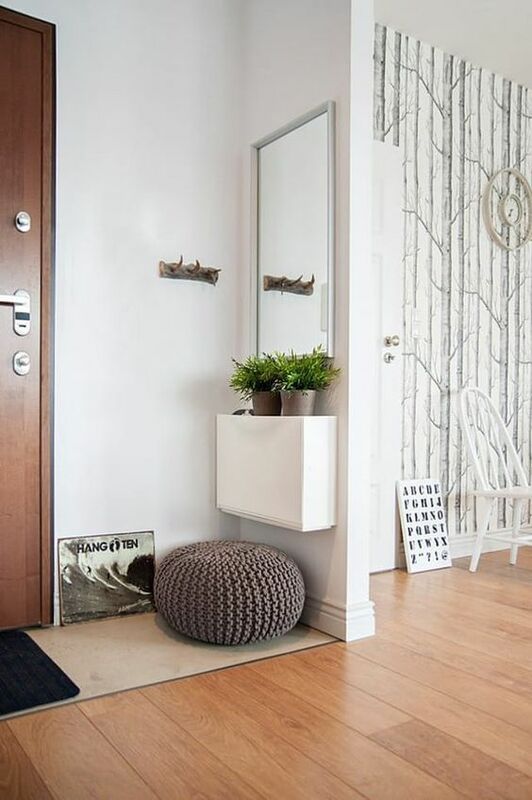 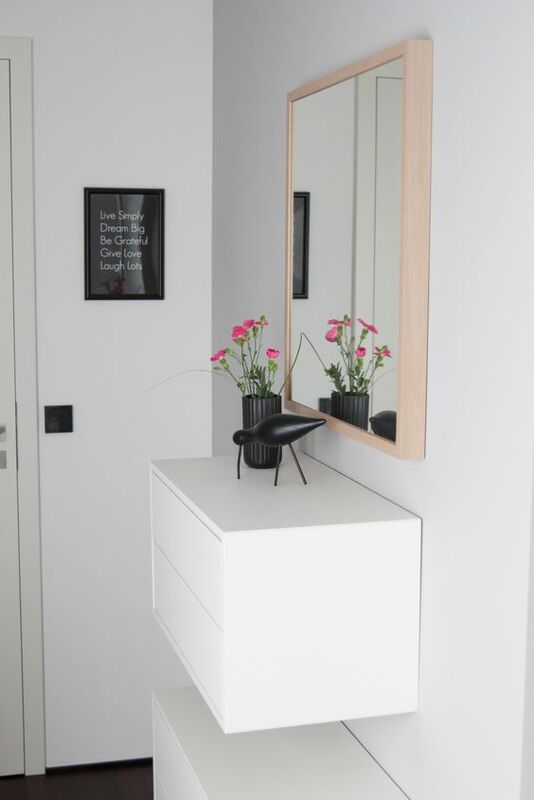 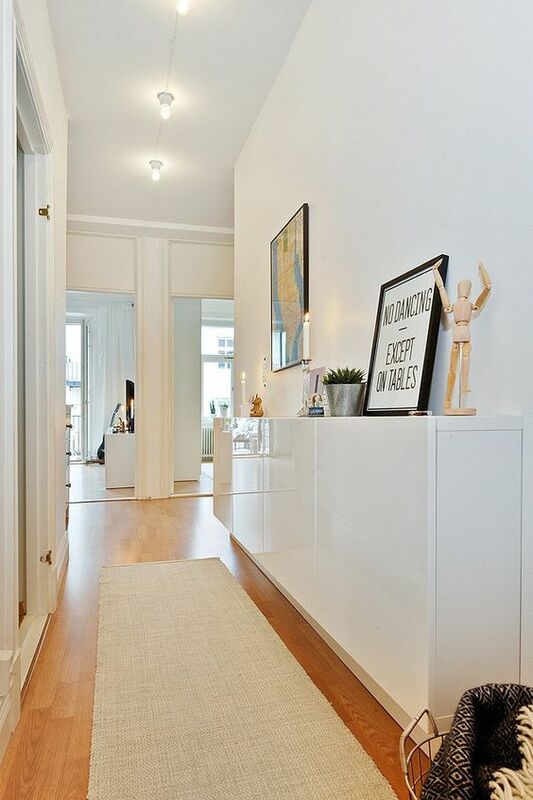 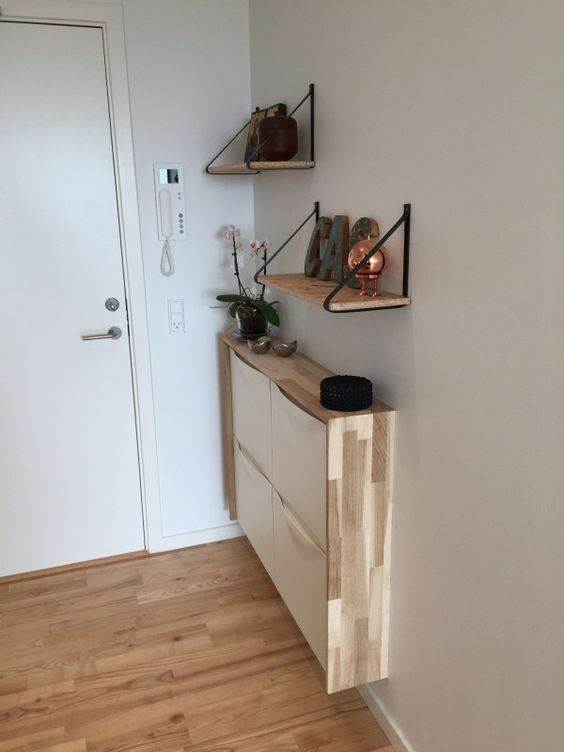 If you can’t find a proper piece for your entryway, buy a plain IKEA piece and attach it to the wall to make a console. 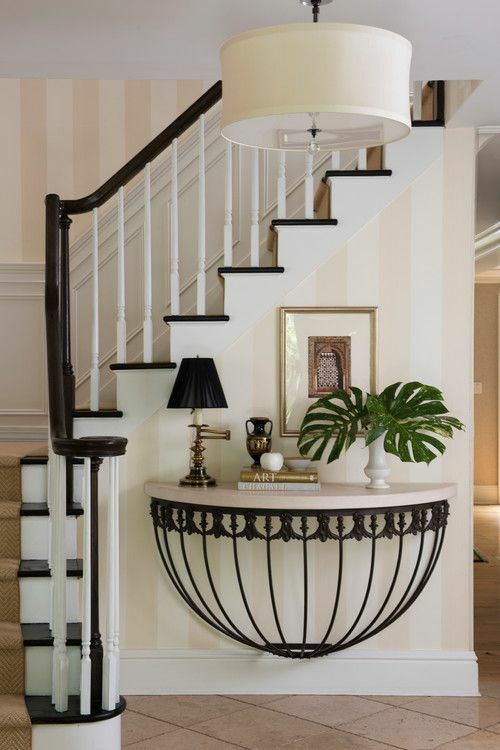 You may spruce it up with painting, stenciling or in any other way to fit your space. 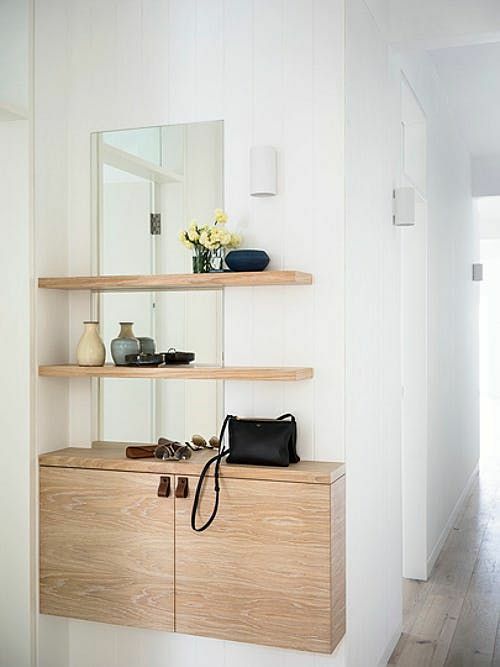 You may also add some matching shelves or a shelf over your console to provide even more storage.